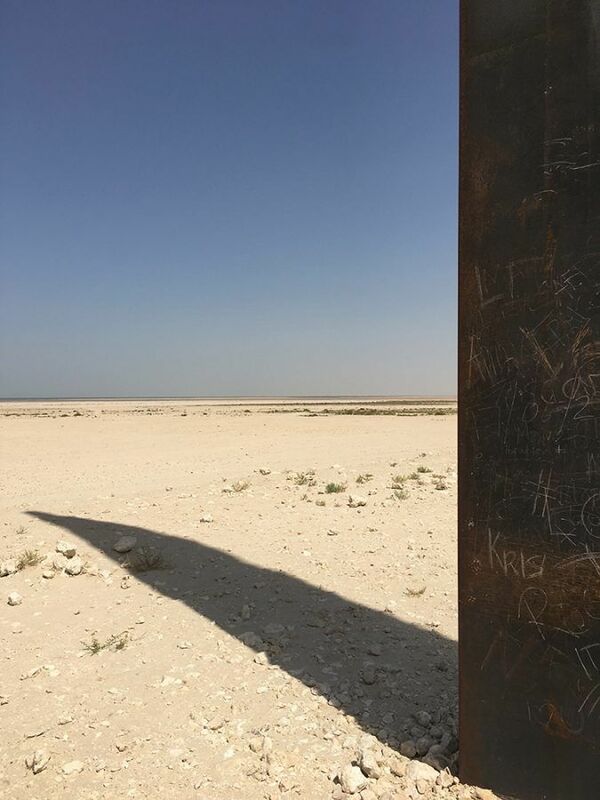 Far west, deep in the desert, at the western shore of the peninsula of Qatar and a ninety-minute drive away from Doha, four simple yet enormous steel plates await. 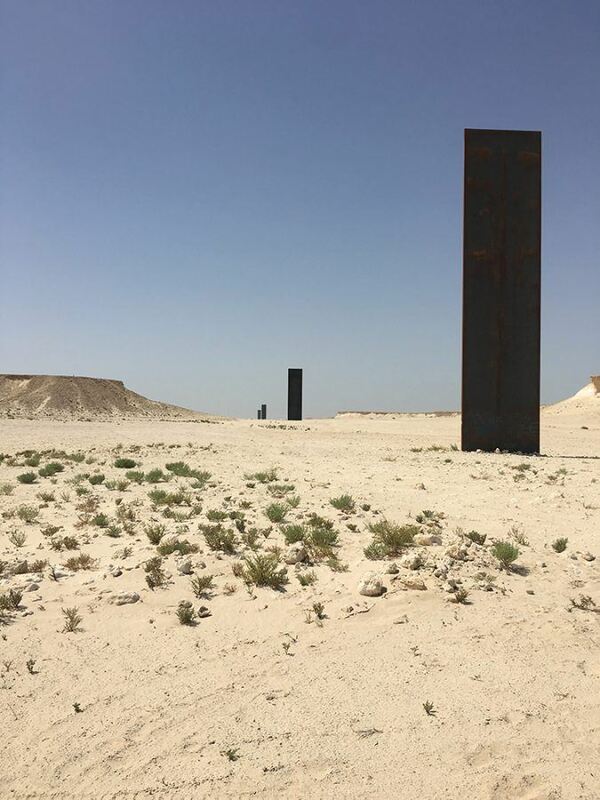 Four simple enormous steel plates which form the latest work of world-renown artist Richard Serra – a captivating paradox. The installation “East-West/West-East” lets no visitor of our architectural guided tour untouched; some get completely fascinated. 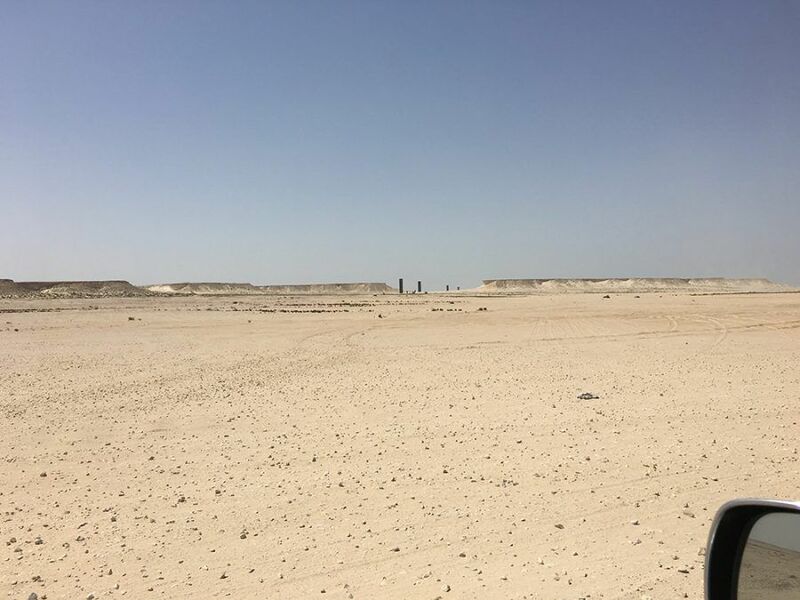 First, the location: there are no roads, no signs, no maps to this site. Just the GPS address: N25o 31.019’E050o51.948’. Thanks to satellite pictures, we located the casted shadows of the sculptures, prepared the jeep, loaded water and fuel, and tried to find our way. The main orientation mark became another curiosity to discover– the Film City, a bit up north of the peninsula of Zakreet, which was used for scenes of the “Transformers” movies. Picturesque gypsum plateaus created a bizarre and breathtaking scenery as we continued to unravel Zakreet’s desert further and further. Integration in the landscape, as seen from afar, in the jeep. Copyright: Hannes Werner. 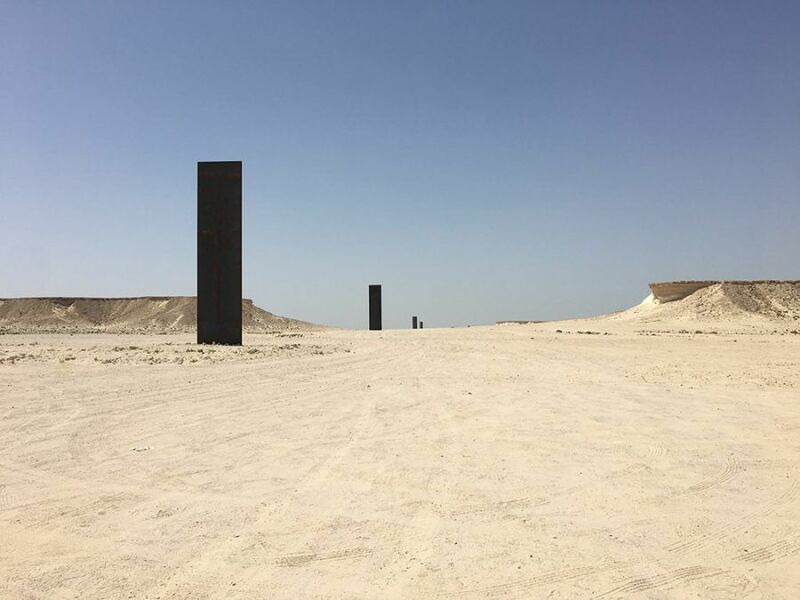 Second, the site: Richard Serra was invited to work on the project by the Sheikha al-Mayassa Hamad bin Khalifa al-Thani, whilst he worked on a sculpture for the park of the Museum of Islamic Art, by Chinese-American architect I.M.Pei. During break times and on weekends, he searched for interesting locations. 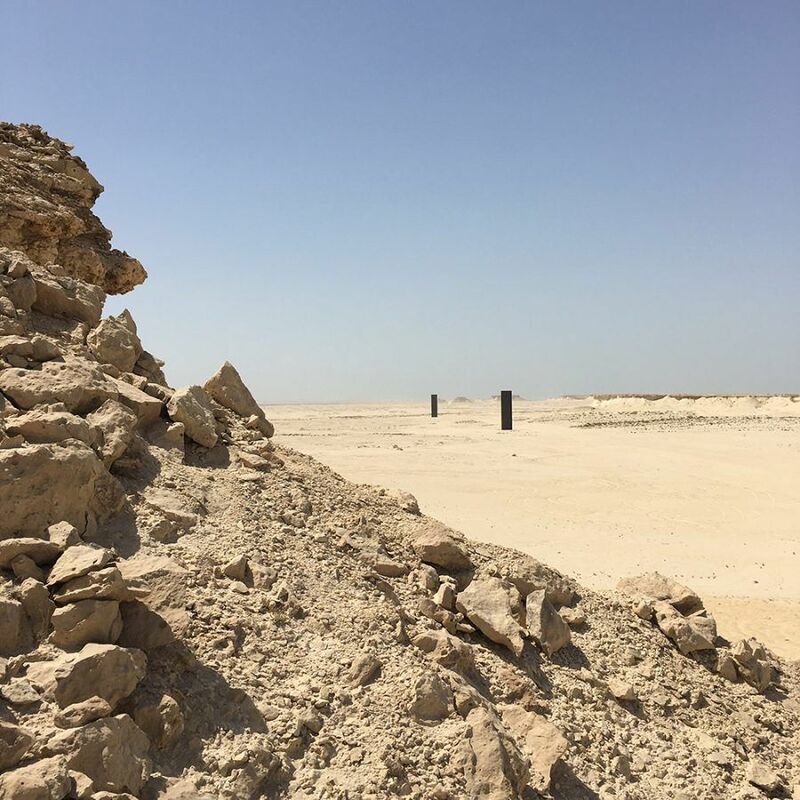 The finally selected site was advised by the former Emir Sheikh Hamad bin Khalifa al-Thani himself, who recalled some of his childhood memories of trips to see herds of antelopes crossing the open shore to the protective oasis of Zakreet. Crossing through. Copyright: Hannes Werner. The Sculpture consists of 10 cm thick full-steel metal plates, each between 14.7 to 16.7 m high. The top of the plates are all leveled to each other and correspond to the height of the surrounding gypsum plateaus. They spread along an imaginary centerline of a stretch of one kilometer, giving measure, scale and depth to the valley. Space Time Continuum. Copyright: Hannes Werner. We spent 2 hours walking the full distance up and down, climbed up the plateaus, shot hundreds of pictures and eventually found our way back. Exhausted like almost every trip to the desert, yet completely taken aback. 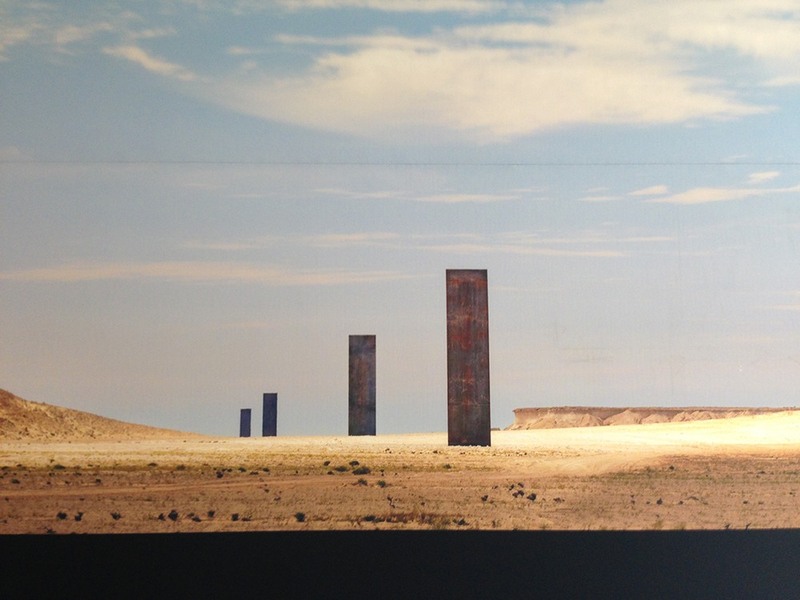 The harsh environment of sandy winds and torrid sun will change the color of this Serra sculpture in a completely different way than any of his work before. 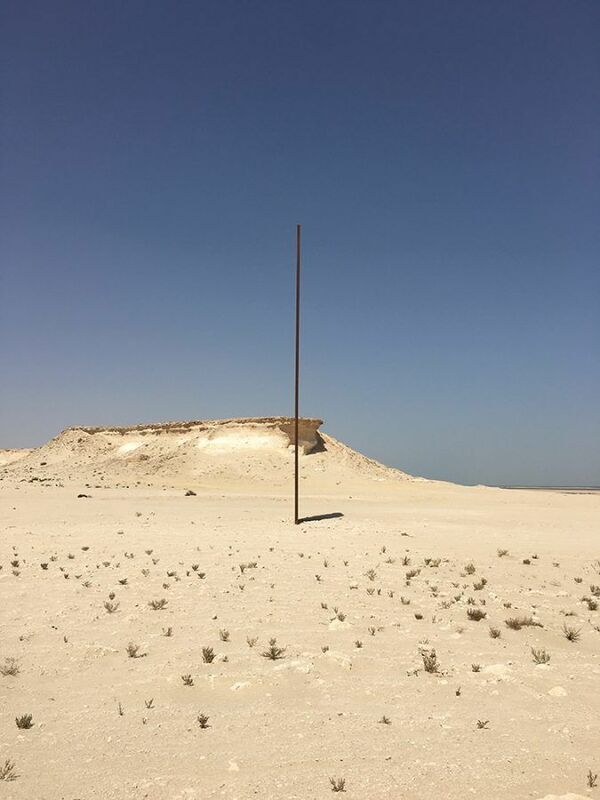 Whilst Serra always wanted to bring art from its pedestals into public space, this project feels more like an archeological site, rather than an exhibition. Remaining an oasis of wonder, waiting to be found deep in the desert. Detail of the steel plate: side view. Copyright: Hannes Werner.